Resplendent with modern day allure, the Hamburg Engineerwood 5 Door Wardrobe offers a beautiful contemporary touch to your bedroom. Constructed from the finest quality MDF with Melamine, this piece is as sturdy as they come. Designed to outlast our competitor’s products, we’ve selected only the finest materials and best finishes. Furthermore, with an array of spacious shelves as well as hanging rods to organize all your clothes, you’ll never run out of storage space. 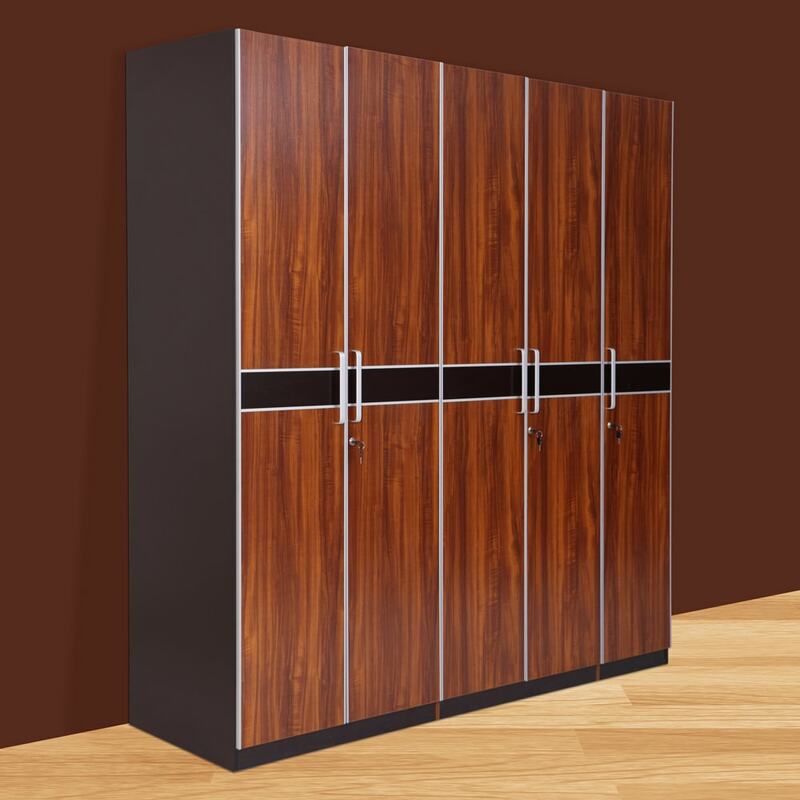 Finished in a lovely shade of walnut and complete with stylish metal handles, the Hamburg is everything a modern wardrobe should be. You can choose to buy this piece from our online furniture site, or visit any of our 25 furniture stores across India for the best deals in home furniture.